Ghost Mountain Inn is a privately owned 4-star hotel at the foot of the legendary Ghost Mountain – a perfect place to experience the allure of Africa in stylish comfort. Situated in the heart of the Zulu Kingdom, Ghost Mountain Inn is an ideal location from which to explore the wildlife and coastal reserves of Zululand and the Elephant Coast. Nature enthusiasts will appreciate the abundance of wildlife and scenery during game drives, guided walks, boat cruises and tiger fishing in the company of knowledgeable rangers. At the hotel, the spa offers a range of treatments and an exercise facility. There are a variety of indoor and outdoor spaces for conferences and weddings. The poolside invites relaxation in a glorious garden setting. 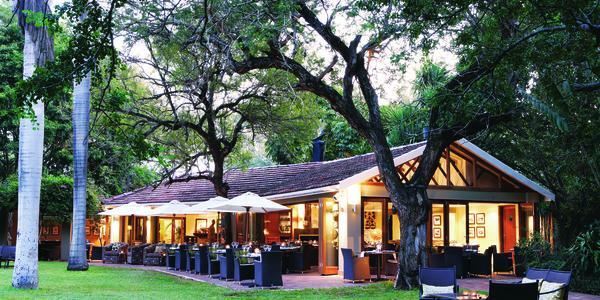 Ghost Mountain Inn makes an excellent stopover and getaway for people travelling to southern Mozambique, or between Kruger Park, Swaziland and Durban. There's currently no specials at Ghost Mountain Inn. Ghost Mountain Inn has over 550 square metres of indoor function space for meetings and events. From small gatherings to garden weddings and conferences for up to 120 guests, Ghost Mountain can configure a variety of venues. The MTWAZI ROOM accommodates up to 40 delegates, providing a warm and intimate location ideal for smaller meetings, social gatherings and private dining. NDUMU A & B accommodates up to 120 delegates and is suitable for private events such as meetings, conferences and dinner parties. The private foyer, patio and courtyard with cascading water feature provide spaces for coffee breaks, cocktails and outdoor gatherings. Lawns, indigenous gardens and terraced areas are superb spaces for weddings. A gazebo and boma allow for dancing under the stars. Conference equipment includes dropdown screens, projector, flip charts and built-in sound system and roving microphone for audiovisual presentations.